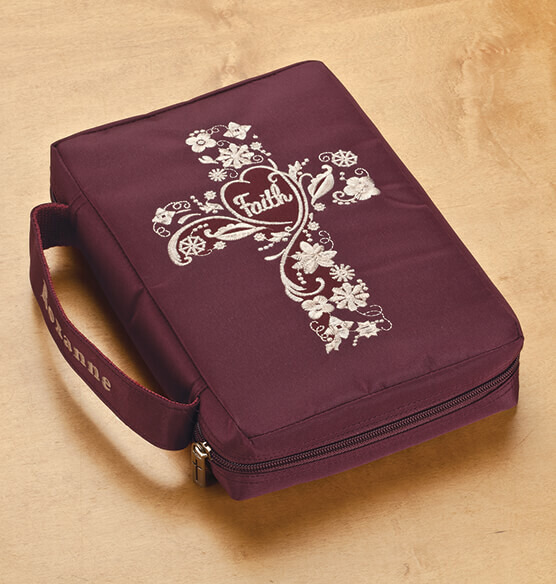 This personalized Faith Bible cover’s embroidered cross design features a heart in the center, appropriately graced with one simple word: "Faith". 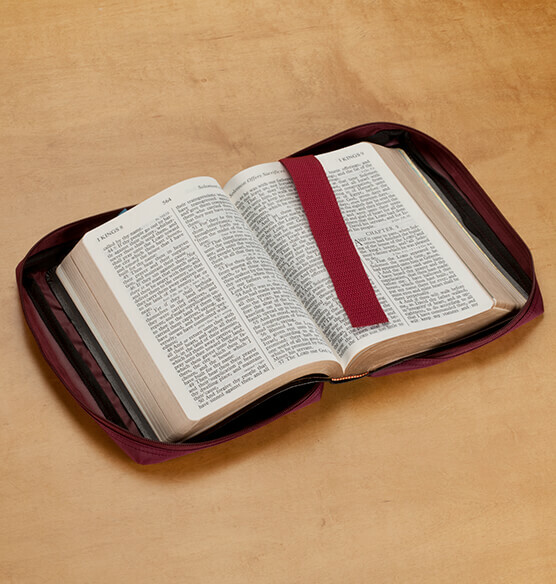 So beautiful, yet practical ... the durable Bible book cover holds and protects a standard size Bible, easily zipping open and closed with a silver cross zipper pull. Two handy inner pockets, an attached bookmark and pen holder inside make it perfect for Bible study or daily devotions, while a side handle makes it easy to carry. 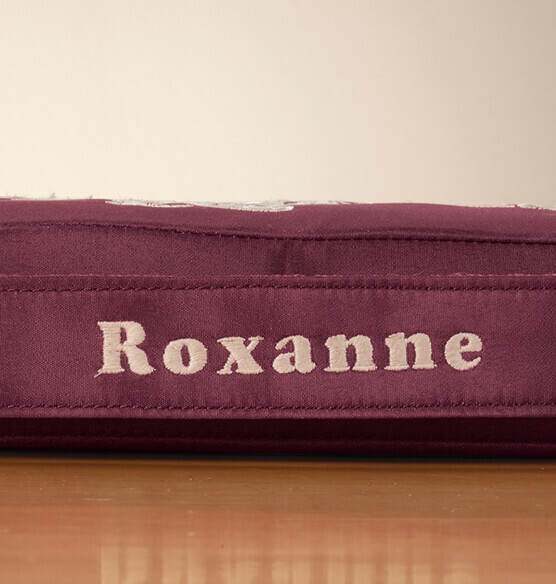 We’ll embroider any name to the handle, creating a thoughtful gift and custom treasure. Specify name; limit 1 line, 15 letters/spaces. 60% microfiber/40% polyester with metal zipper and pull. Bible protector measures 6 3/4" x 9 3/4". I would recommend this Bible carrier. Very nice. I like that the inside pockets are wide enough to keep the front and back covers of my Bible from slipping out. This is a beautiful Bible cover. I like the design on the front and the fact that it's personalized. My bible is 2" and 3/4 will itfitin the cover? BEST ANSWER: Thank you for your question. It may be a tight fit as it can fit a 2" thick bible. We hope this information will be of help to you. how thick of a bible can this hold? BEST ANSWER: Thank you for your question. It can hold a bible up to 2" thick. We hope this information will be of help to you.